"In 1990, Act NO. 761 led to the creation of the Capitol Park Master Plan by State Facility Planning and Control, Division of Administration. 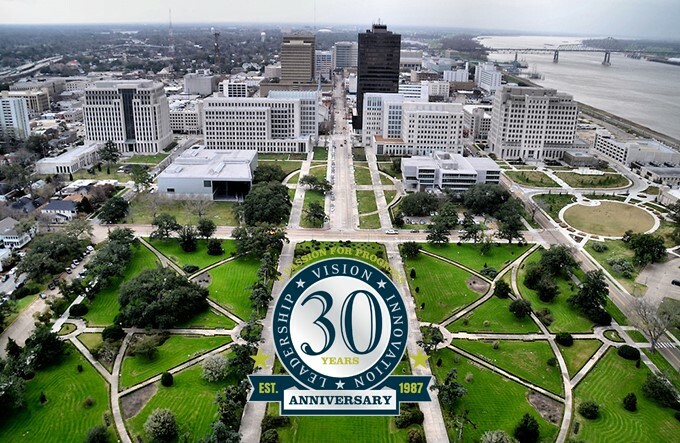 With public input, this plan was designed by Post Architects to consolidate state agencies into a park-like capitol campus that connected to the core of Downtown Baton Rouge."